Post is 6 feet above the ground! 100% Do-It-Yourself! 1. Hammer in the ground anchor. 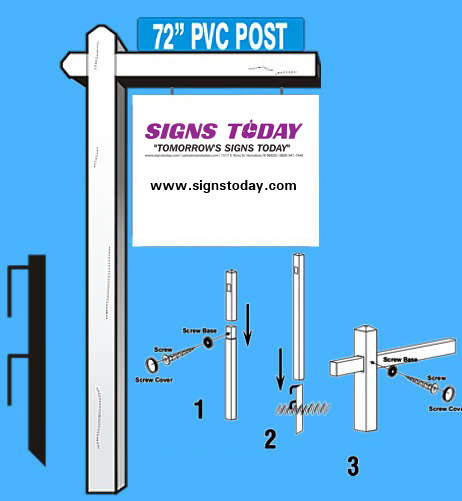 Post holds a 24 inch sign panel. Made from durable, weather vinyl material. Designed for easy installation and years repeated use. Takes the place of 4th x 4w wood post.